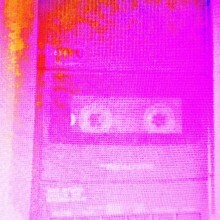 Dominic Massaro has been releasing a lot of music under his Chainsaw Rainbow project, a solo endeavor that finds him exploring different psychedelic textures through drone, shoegaze, and bursts of noise and feedback. I found myself captivated by the 747 and Photorealistic releases, and shortly before this interview came together Massaro released another new recording titled Polaroid. I had the opportunity to send him some questions via email to learn more about the process that goes into these waves of psychedelia and noisier drones. Check them out below and if you have yet to hear any of Chainsaw Rainbow’s material I’ve embedded the two most recent releases at the end. Thanks to Dominic for answering these questions and Media Stew Public Relations for helping to organize everything! You started recording under the Chainsaw Rainbow name about two years ago and have released three releases on Bandcamp since then. Has your writing style changed at all since you first started the project, and is there even more material waiting in the wings? I’ve noticed a move towards even less structure and free-flowing ideas between 747 and Polaroid. I wouldn’t say that my style has changed although it’s always stretching in slightly different directions. I always go back and forth between music that’s more structured and more drone type of stuff. I don’t try to write one way or another. Some music comes out structured some more abstract. Either way I prefer them to have an element of color and an element of noise. I’m always creating and capturing pieces as I create them so there’s always stuff waiting in the wings. I also like re-working pieces by adding vocals or changing sounds. Your Bandcamp page mentions influences like Sonic Youth, My Bloody Valentine, and Apex Twin (to name a few), which I can definitely hear reflected in the noisier tonality and droning waves of sound. Are there any influences, either music or other art forms, that are less obvious and have had an impact on your songwriting? Minimalist art, sounds of machines and fashion are a few things. People doing their own thing in any form is always inspiring even if it’s not my favorite type of art or music or whatever. I like when I can tell that whatever they’re doing is 100% them and they couldn’t change it if they wanted to. I’m also inspired by simple things done really well. My favorite part of your recordings is the way that the layers of sound wash over you, creating a warm, psychedelic feel that encompasses your whole body. I imagine in a live setting that you are able to amplify this, how do you approach live performances? Do you use any kind of visualization like some drone artists do or do you let the music take the spotlight? Some venues I’ve played have had visuals with me in a low lit environment. I like visuals but I also like playing in a low lit room without visuals because I think your eyes can overpower your ears. When there aren’t any visuals you listen more closely. With the music I create there are sounds and patterns in the overtones and you are more likely to become entranced in them if you’re not looking at anything. In addition to your releases as Chainsaw Rainbow, you also collaborate with Nina Spiezio for Jetdog which is a bit more structured but has a similar hazy feeling and shoegaze aesthetic. Tell me about the dynamic between the two of you and how Jetdog writes and records in comparison to your solo work. I write them basically the same way. Jetdog has vocals and drums but buried under the guitars. Nina is a painter here in L.A. She has a really cool sounding voice and she is one of the coolest people you’ll ever meet. I write the lyrics and then have her double my voice. I’m not sure when or if I’ll do another Jetdog record at this point. In addition to your musical endeavors you also paint, and some of your pieces also serve as the artwork for Chainsaw Rainbow releases. How do the two mediums differ as far as the creation process, and does your music influence your art or vice versa? The processes are very similar. With painting I’ll go a while without painting and then out of the blue I’ll get inspired to paint. I will buy a bunch of art supplies and create numerous pieces in a very short period usually 3 -4 weeks. I paint very fast and don’t think about it. The minute I start thinking about it I stop until the bug bites again. With music it’s similar but I’m always playing music and tinkering around. Generally though like with painting I’ll hit a period where I’ll create a lot of music in a very short period of time. Back in December you signed with Red Queen Music, making all of your musical projects available for possible TV, film, and commercial advertising spots. If Chainsaw Rainbow or Jetdog were to be used in any of these, what sort of television show or film do you think they would fit with and why? There are several other projects as well that I’ve licensed some more ambient synth and some more stoner rock. As far as Chainsaw Rainbow or Jetdog it’s hard to say for sure, although they might work well in indie films. At the end of the day that’s a show or filmmakers choice. I just make music I like and hopefully it fit’s perfect with someone’s vision. 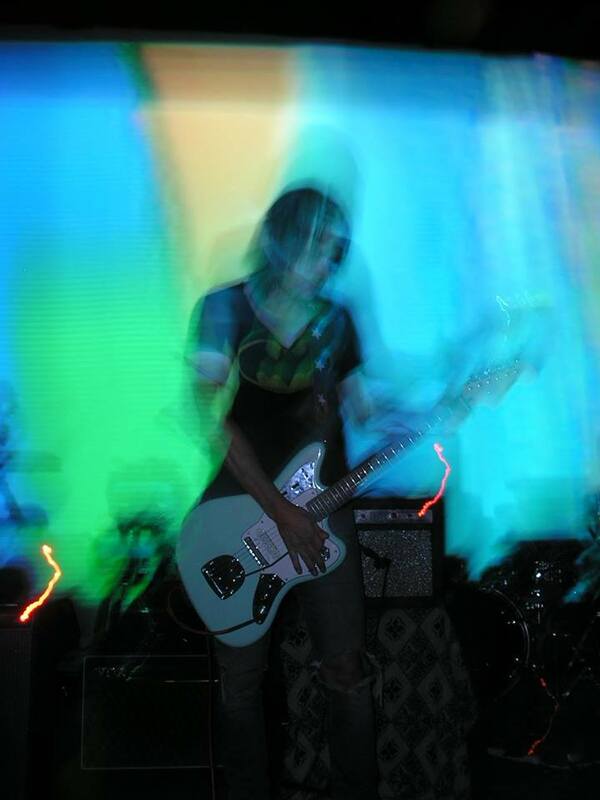 Los Angeles and California in general have a long history of quality psychedelic music and shoegaze. Where do you feel your projects fit in with this and what are some of the artists you’ve performed with that our readers should check out? L.A. is vast and full of great artists doing a variety of styles. As to where I fit in who knows? I’ve never been part of a scene. There are some great artists and bands I like. Here are a few of them-Hott Mt, VUM, Egrets on Ergot. Thanks for your time and I look forward to having even more psychedelic drone to check out in 2016. What else do you have planned for the year? I’m always working on new music and hope to continue releasing new music every 3-6 months. I’m also planning on doing more live performances later in the year.